WhatsApp is a third-party application that allows free exchange of texts and multimedia across-platforms using internet connection. If this sentence flew right over your head, read again. Didn’t get it this time, suviše? Okay, simply put: WhatsApp will let the users send and receive free messages, pictures, videos and audio clips to other WhatsApp users. Since this app uses internet connectivity; the users will bear no extra charges. 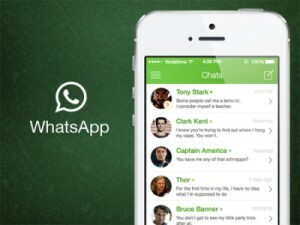 WhatsApp is free – almost! Možeš Monitor WhatsApp Free with the help of iSpyoo smartphone spying app. This app is easy to install and easier to use! iSpyoo is your ultimate passport to access all WhatsApp chats in stealth mode in a jiff! Just follow these steps and you’re good to go! 1.Kupiti the desired iSpyoo subscription package for Android, iPhone. 2.Install the app on the target phone by opening up the target phone’s browser. 3.Log on to your user account via your laptop, PC, smart phone or any other web enabled device. Multimedia shared via WhatsApp and saved on the phone. Nadam se da ovo pomoći: How To Monitor WhatsApp Free? Prethodna:Can You Download Monitor WhatsApp? Sljedeći:Can You Monitor WhatsApp For Your Smartphone?